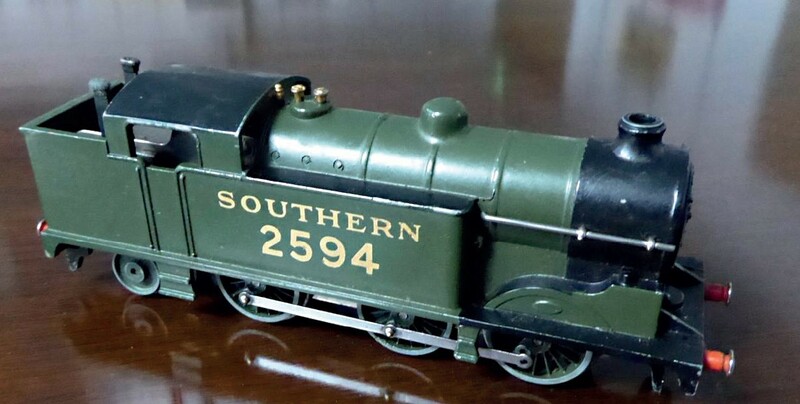 Hornby Dublo 0-6-2T Southern 2594 – £6000 at Tennants. The 0-6-2T Southern 2594 locomotive had been estimated at £400-600 but made £6000 in the November 28 Toys, Models and Collectables Sale in Leyburn. The fact that it was a clockwork model was significant. Meccano introduced its 00 scale trains in 1938 under the brand Hornby Dublo. Wartime hit production and development, and clockwork versions were discontinued afterwards. Post-war versions – the ones usually offered on the market – ran on a third-rail electric system. Despite not having its original box, the loco was sold with Southern Railway open and goods wagons, a brake van, and original wrap and clockwork key. Hornby Dublo locomotives were made of diecast metal, and the carriages and wagons were generally made of tinplate.